George Osbourne’s Help to Buy scheme facilitates £130bn of low-deposit home loans, helped by the historic shake-up of planning laws launched in 2012. However, critics have argued that Osbourne is just ploughing money back into the boom-and-bust property cycle, with the scheme more likely to push up prices than increase the supply of new housing. While Britain’s relatively modest new homes target pales beside the five million properties that were constructed in Spain between 1997 and 2008, Osbourne’s vision seems somewhat portentous: one can’t help but recall the housing crises that have swept over Spain, Ireland and America in recent years. Most pronounced in the US, Britain, Ireland and Spain, this tactic was a common feature in years leading up to the 2008 financial crisis: asset prices soared, while low interest rates and a steady flow of credit encouraged a maelstrom of speculative development projects. As we shall see, the glut of empty and unfinished developments in Spain have become increasingly visible in recent years. Plagued by negative equity and safety hazards, many of these schemes exist in an unhealthy state of inertia, posing problems for residents and local governments. While other parts of the world experienced comparable levels of construction before the financial crisis took hold, Spain is particularly paradigmatic of the problems of secondary circuit investment. Evincing the dangers of long waves of investment in the built environment, the collapse of Spain’s property-led economy should be a cautionary tale for present-day governments and homeowners – yet it should also be situated within a broader, ideological context. Often classified as ‘ghost towns’, Spain’s new urban geographies are regularly portrayed as reminders of the country’s overly extravagant past. Furthermore, as seen in countless journalistic reports, these places are routinely described in spectral terms. In contrast to these narratives, this article propounds the idea that Spain’s many unfinished developments aren’t ghostly at all – they showcase the very real problems of present-day capitalism. Dating back to Franco’s modernisation programme in the late 1950s, Spain’s historic dependence on construction runs parallel to a demise in manufacturing output and indigenous production. In this sense, as Isidro López and Emmanuel Rodríguez explain, ‘Franco’s “solution” to Spanish industry’s eternal competitive weakness was a notable anomaly in the context of the manufacturing growth that marked the post-war boom elsewhere in Europe’. As Lefebvre’s writings have shown us, long waves of secondary circuit investment typically come into play in the event of a crisis in the primary commodity sector. It’s extraordinary then, that when Franco’s property and tourism-led model was strongly affected by the infamous 1973-1975 recession in the West, the strategy for revitalising a struggling economy was to intensify investment in these sectors. Thus, as López and Rodríguez suggest, relaunching the economy was based on ‘deepening Spain’s existing “specializations” in tourism, property development and construction, as “competitive advantages” neatly adapted to the new approaches of the emerging global economy’. In David Harvey’s words, the secondary circuit ‘appears as a godsend for the absorption of surplus, overaccumulated capital’ yet is riddled with many problems and limitations. [v] As seen in Spain, crises stemming from an overaccumulation in property-led growth ‘tend to be more long-lasting than the short sharp crises that occasionally rock stock markets and banking directly’[vi], often resulting in an oversupply of commodities such as empty or unfinished architectural units. When Spain’s “boom decade” reached an abrupt halt in 2007, the damage produced by years of frenzied development was revealed in a very visible way. Littered with unoccupied buildings, lifeless estates and many unused roads, landscapes that once induced growth came to symbolise the limits of neoliberal development. Often described as ‘ghost towns’, the many unfinished housing developments in Spain paint a vivid picture of the present. Unlike historic ghost towns – ravaged by war, deindustrialization or natural disaster – these are aborted landscapes; places that never realised their full potential. In this sense, it’s important to question the adequacy of this term: could it be that the return of the ‘ghost town’ into popular usage obfuscates our understanding of how capitalism operates? Attracting attention from newspapers such as The Guardian and The New York Times, ‘ghost towns’ are a common architectural landmark in rural, suburban and coastal areas of Spain. Often designed as dormitory towns for neighbouring cities such as Madrid and Zaragoza, they’re vast, under-populated landscapes, often surrounded by stretches of empty roads. When I visited one of the most notorious of these developments, Ciudad Valdeluz, I couldn’t help but feel that the idea of an eerie, apocalyptic space veils a much bigger, more fundamental problem. As the writings of Marx, Harvey and others have taught us, the circulation of capital is ‘inherently conflictual’ – it depends on phases of devaluation and destruction to survive. [vii] Thus, as Marx explained, items of devalued capital are a “necessary moment” in the reproduction of the capitalist order. Resulting in anything from an overproduction of commodities to surplus labour power or partially finished buildings, they reveal the interior pathology of a highly irrational system. As seen at developments such as Valdeluz, capitalism’s destructive creativity is particularly visible at moments of economic crisis. Envisioned as a new town with 9,500 houses for nearly 30,000 residents, it lies approximately fifteen minutes south by car from the neighbouring town of Guadalajara. As a dormitory town for Guadalajara and Madrid (which lies 60 kilometres away), Valdeluz’s isolated location is ameliorated by the presence of a new, high-speed train station and miles of new roads. In reality, however, neither the trains nor the roads are frequented as often as the developers imagined. In mid-2011, it was estimated that a mere 700 people lived at Valdeluz, with around 1,500 of the intended units completed. [viii] More recent estimates suggest that there are over 1,700 residents, many of which have moved due to reduced rents: as one resident explains, ‘some apartments have gone down between 60 and 70 percent’. As a recent article for El País explains, ‘since [Spain’s] real estate bubble burst, many national and international media outlets have been to Valdeluz to portray it as a perfect example of wastefulness and bad planning. ‘Ghost town’ is the most common description in some of those news stories, but residents reject it.’[ix] Despite the town’s problematic location, Valdeluz still functions as a residential space complete with cafes and retail units. Regardless of the fact that a new shopping mall sits with less than one storey completed, or that a new school accommodates 300 rather than the intended 1,700 pupils, it performs (albeit to a limited extent) part of its original utopian purpose. [x]Consequently, the term ‘ghost town’ does little to further our understanding of new urban geographies like Valdeluz. In my reading, the idea of a haunted ‘ghost town’, beset by the spectre of development or the vestigial trails of absent residents, obfuscates our understanding of the capitalist mode of production. In this sense, the return of the term ‘ghost town’ is a popular yet possibly dangerous phenomenon. By implying that these developments somehow ‘haunt’ us – that they remind us of the problems of the past – the term implicitly suggests that we have left the past behind. Like all aspects of the built environment, these areas are entwined in a physical and economic landscape that extends across borders, regions and nations. In this sense, the remnants of overaccumulation during the boom years – in this case unfinished buildings and infrastructure ­– could be interpreted as the material residues of capitalism’s contradictory structure. Produced by an irrational boom-and-bust economy, they are ‘pathological geographies’ – spaces highly indicative of an irrational, crisis-prone system. By describing unfinished developments in Spain as ‘ghost towns’, there’s a sense that these are past spaces; places left behind by a dysfunctional housing market and profit-hungry developers. However, as seen in recent newspaper articles, the inadequacy of the term has been compounded by acts of resistance and occupation. As Carlos Delclós explains, in an article in Open Democracy’s Cities in Conflict series, movements such as the Plataforma de Afectados por la Hipoteca (the Platform for People Affected by Mortgages – PAH) and Stop Foreclosures campaigns reveal how Spanish people today are ‘less and less willing to give way to a passive acceptance of the status quo’. 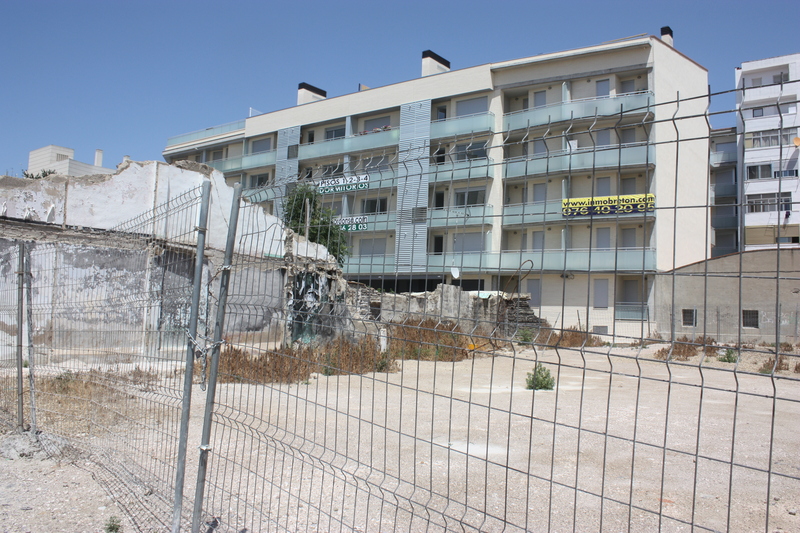 In addition to nation-wide campaigns such as PAH, citizens in autonomous communities across Spain have started to occupy some of the country’s many empty and foreclosed properties. Prominent among these projects is Corrala Utopia in Andalusia, ‘the first in a growing network of previously vacant properties in […] Seville, now occupied by victims of Spain’s ongoing economic crisis’. Responding to the high rate of mortgage foreclosures, homelessness and housing evictions – which have reached over 350,000 nation-wide since January 2008 – Corrala Utopia has, in recent weeks, inspired the creation of four more corralas across Andalusia. Within these recent developments, there’s a sense that the cult of the ‘ghost town’ is being challenged on a semantic and social level. Rather than being remnants of a country’s past, unoccupied or unfinished houses are battlegrounds of resistance. Revealing both the pathology of capitalist production and the possibility of alternatives, these aborted landscapes should not be written off as history. As we have seen, the tendency to use property as a motor for economic growth has become increasingly commonplace since the beginnings of neoliberalism. Today, homes and houses are so inextricably entwined with the complex manoeuvres of the market that it’s difficult to envision alternatives. 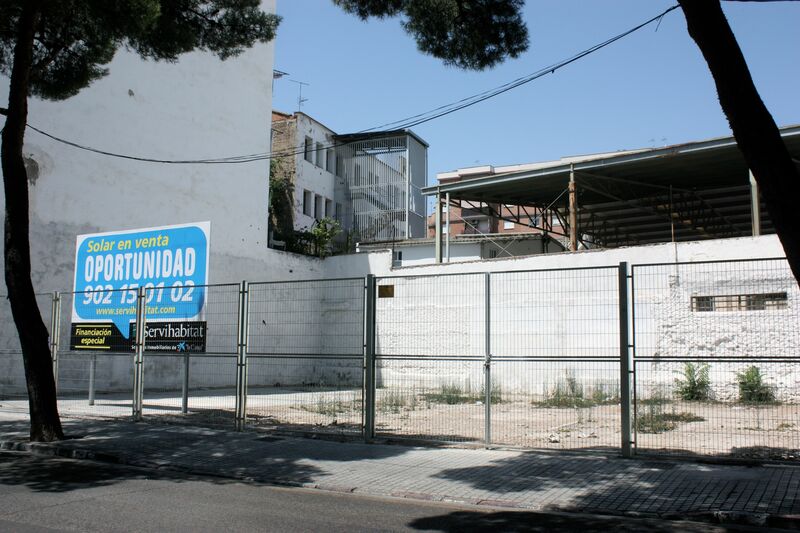 While Spanish residents continue their fight against unjust foreclosures and evictions, we should look closely at the landscapes produced by property-led growth strategies as sites of alterity and education. [iv] López, I. & Rodríguez, E., op.cit. [x] Chakrabortty, A., 2011, op.cit.